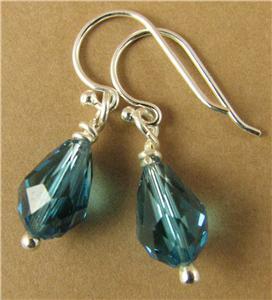 Home › Teal/blue crystal teardrop earrings made w/ Swarovski elements. Sterling silver. 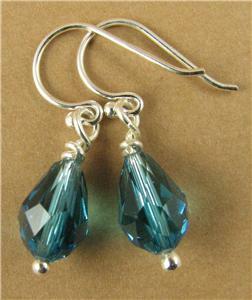 Teal/blue crystal teardrop earrings made w/ Swarovski elements. Sterling silver. 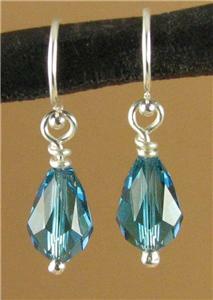 Teal/blue teardrop crystal earrings made with swarovski elements. Sterling silver. Handmade. 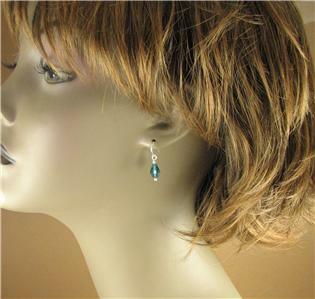 This is a lovely pair of small crystal teal coloured teardrop earrings. 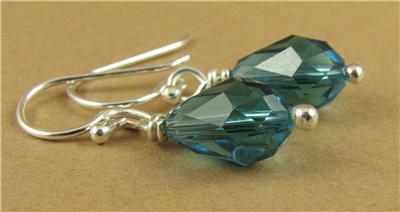 I have made these earrings myself using genuine Swarovski crystals from Austria. 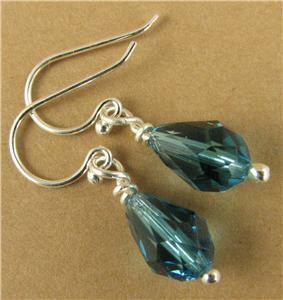 They are cut into a teardrop shape which has been faceted to show the light beautifully. They are teal colour. 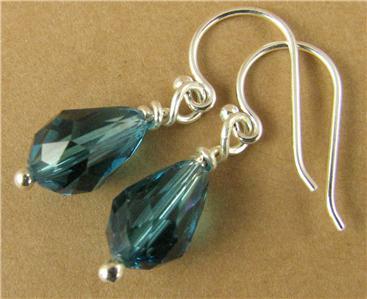 The wire inside the crystals, and the ear hooks are all solid sterling silver. The crystals themselves are 9 x 6 mm. 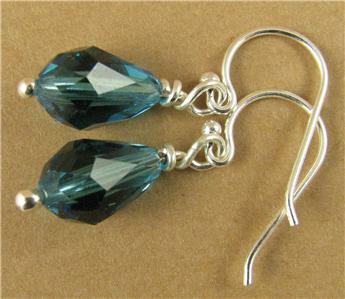 From the top of the hooks, the earrings are 2.25 cm long.